There is no bigger solace for parents than the overall wellness of their children. Protecting kids for their safety is indeed a top priority for every parent. No parent can afford to risk the safety of their kids against various underlying threats and unwarranted dangers. Parents today are adapting various techniques that equip them to handle safety issues the smart way. Smart parenting is becoming a global mantra for parents all over the world. This includes the unanimous acceptance of IoT devices – wearable and non wearable devices to keep avoidable dangers at bay. Let us however, take a sneak peek into the GPS enabled smart-watches and the benefits these devices offer to parents as well as kids and teens. Gone are the days when buying a GPS enabled smartwatch for kids was considered a luxury. Today, however, the scenario is different. There are plenty of options readily available. It is easy to buy a smartwatch for kids of your choice online. What’s more, these magnificent tech gadgets don’t burn a big hole in your pockets and make up for an affordable buy. Now a smartwatch is just a click away! Besides, these smart-watches lend a style statement to your fashion conscious kids. Fueled by IoT, the GPS enabled smart-watches act as a savior for parents who are always clouded with worries about their kids. Tracking a child was never this easy. 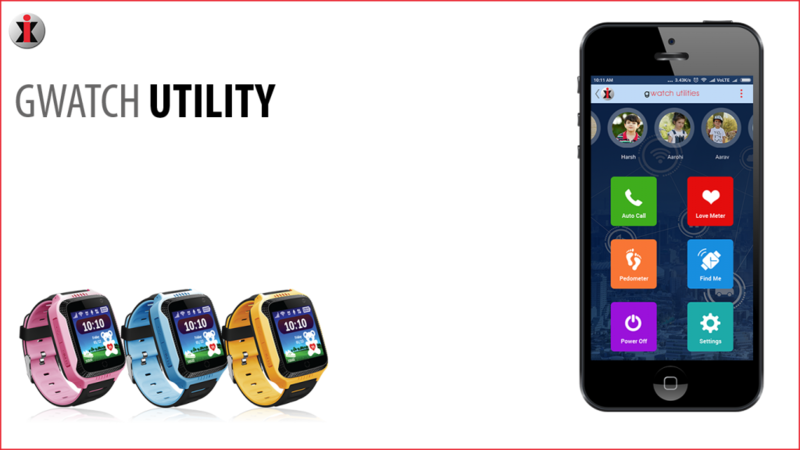 These smartwatches allow parents to track their children in crowded/public places or when they are out of sight say at school, picnic or an outing. Parents can use these smart-watches to track the location of their lost kids. No matter how tech advanced the smartwatches are, they hardly look like one. Most manufacturers have worked hard to mold their tech wonders in a time piece that looks everything but a tech piece! Their childish designs and bright color combination is perfect to disguise them. This is precisely why most people can hardly spot the difference between a smartwatch and an ordinary watch. Good for kids who use them, as their adorable designs keep these watches safe from the prying eyes! 1. Tracks kids when they reach school or arrive home from school. 2. Track kids when they are untraceable in a crowded space. 3. Track kids when they are away from home and out of your sight. Parents, whether at home or office, are always worried about the safety of their kids. The fear of losing your child to avoidable circumstances is the concern area for all moms and dads. On the other hand, a smartwatch equipped kid is always traceable and reachable in case of contingencies and emergencies. This in fact, offers great solace for parents, who are relieved at the thought of maintaining an uninterrupted connectivity with their children, anytime, anywhere. With Gwatch, we guarantee you the much-needed peace of mind…Stay connected, Stay safe.